Use as a water bath canner, steam canner or stockpot. 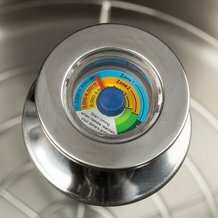 Temperature dial on lid tells you when to start your processing time. 20 qt capacity. 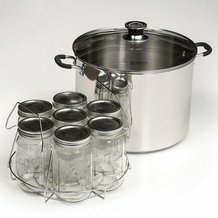 Holds 7 quart or 8 pint jars. 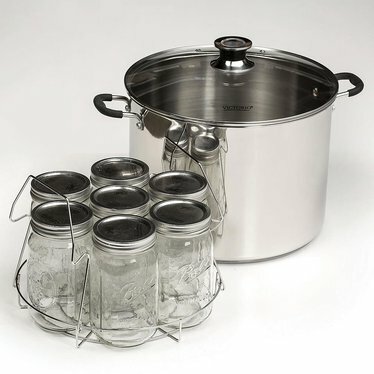 NOTE: This canner can be used on a glass-top stove only if your stove has been rated for canning by the stove's manufacturer.